'The Bachelorette' finally addressed race. It's all downhill from here. Bachelor Nation, let's be honest, is filled with booze and bad vibes at the moment. There are sexual assault charges facing Bachelor in Paradise and filming this season is currently shut down. 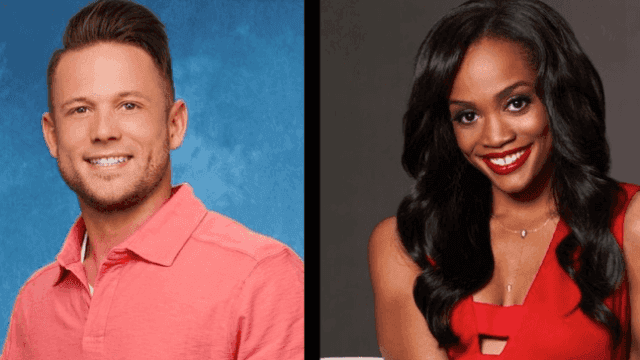 And now, a racist cast member on the show's first season featuring a black Bachelorette is causing drama—and not the fun drama Chris Harrison likes so much. Lee Garrett, a contestant on Rachel Lindsay's season, spent much of last year making racist remarks on Twitter. In now-deleted tweets, Lee called Black Lives Matter a terrorist group and claimed there's no such thing as "pretty" feminists. People are wondering how someone so openly racist was cast on the show in the first place—and wondering if he's a producer plant brought on to increase tensions. Going into last night's episode, the guys in the house were united against Lee and some even make a point to tell her so. In the toughest moment of the season so far, Rachel breaks down on camera discussing what it's like to be a black woman and helm the series — one of the few times she's discussed race at all. "The pressures that I feel about being a black woman," she says, getting cut off by tears. "I didn't want to get into all of this tonight. I already know what people are going to say about me, and judge me for the decisions that I'm making. I'm gonna be the one that has to deal with that, and nobody else. And that's a lot." Twitter exploded in support for Rachel — and disdain for the series that would put her face-to-face with a racist. Next week, there's an enlightening racial discourse where everyone comes to peaceful conclusions. Just kidding, someone gets punched.